In this latest podcast, Dave sounds off on his hated enemy- debt. He discusses three important ingredients to the recipe to become debt free. Make sure to check it out and let us know your thoughts! What debt strategies are you applying and why? Most young physicians—and some not-so-young ones—have a lot of debt, much of it from medical school. Now that you’re in your career, it’s time to start reducing your debt. But…. where do you start? Maybe you’re sitting here reading this and you are feeling confused and unsure. You’ve got a car loan, a mountain of student debt, and maybe even a mortgage and some credit card debt. Maybe you’re wondering… how the heck should I prioritize all this stuff???? Step One: Pay off high-interest-rate, low-balance consumer debts first. Specifically, eliminate consumer debt, including credit cards, car loans, and student loans. Why? None of these are tax-deductible like a mortgage or a home-equity line of credit. In my book, the Freedom Formula for Physicians, we reveal an incredibly frustrating and shocking truth…. Did you know that student loans stop becoming tax deductible when your income hits a certain threshold? This means if your income is over $130k if you are married, $65k if you are single… your student loan interest is no longer tax deductible my friends! Thus, for virtually every single physician, we consider student loans a consumer debt. HINT: What you are about to listen to DOES NOT apply to a physician enrolled in PSLF (public service loan forgiveness program). See more about PSLF in this podcast and this podcast. This only applies to physicians who are working towards paying off their debts as quickly as possible. If there is a 3% or greater difference in interest rates among your loans, pay off loans with the highest interest rates. If there’s less than a 3% difference and 5 years or less to maturity, consider paying off the lowest balance loan. If you own your home, the government gives you a great deal…. no, really, they do… no matter your income level! You see…. the interest you pay on mortgages and home equity loans are tax-deductible on your federal income tax return—and, thus the rates are lower. MAJOR HACK: If possible, move consumer debts to tax-deductible vehicle like a mortgage (assuming that you feel comfortable with your income going forward) because now that interest is tax deductible!!!! For example, if you have sufficient equity in your home, you can open a line of credit that may have a rate of 3%. 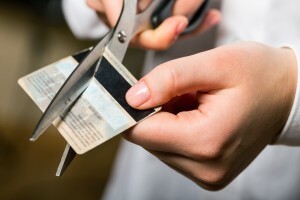 You can write yourself a check and use the money to pay off credit-card debt that may be costing you 12% or more. Consolidating debt IS a good idea. No, scratch that… it’s an awesome idea!!! Outside of making minimum payments, put any “above and beyond” payments of additional principal all towards only ONE loan so that you can demolish it quickly. But…. 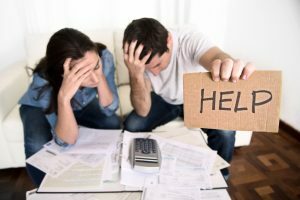 what if you are not using PSLF or another debt forgiveness program? Maybe… you are going into private practice and you want to pay off your loans as quickly as possible. What if you are well into practice and you are struggling paying backing your student loans? There are some super awesome options for you my friend! 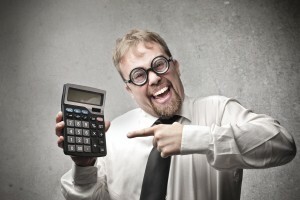 Did you know that you could refinance your debts??? There are a whole host of companies out there that could slash your 6.8% interest to 5% or lower. There’s SoFi and DRB and LinkCapital and CommonBond and several other players. • Could you combine a refinanced loan with a debt forgiveness program? Is there a state sponsored program in a rural or urban area that you could take advantage of with your new lowered interest rate? Reduce your student loan debt SUPER duper quick through debt-forgiveness programs COMBINED with a lower interest rate! Don’t be passive with you debt. Analyze it and take control. You can do it! I believe in you. There’s so many things out of our control in this world…. but debt is not one of them. 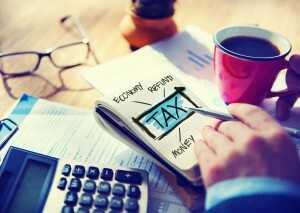 First, identify which loans are tax deductible and which are not. Then, get rid of the highest interest rates or lowest principal balance loans first. Use the 3% rule. Finally, consolidate your debts & slash those interest rates through some pretty awesome companies. These are just a few of the hacks that I have time to share with you today. There’s so much more we simply don’t have time to cover! If you like these and want more, my most successful students invest in my book, The Freedom Formula for Physicians. He’s glad to answer any questions about annuities or other financial matters. 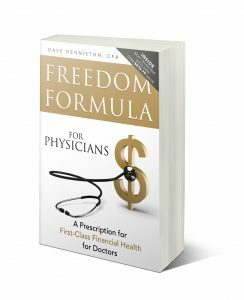 You can contact him at (800) 548-1820, at dave@daviddenniston.com, or visit his website at http://www.DoctorFreedomBook.com to get a copy of The Freedom Formula for Physicians.